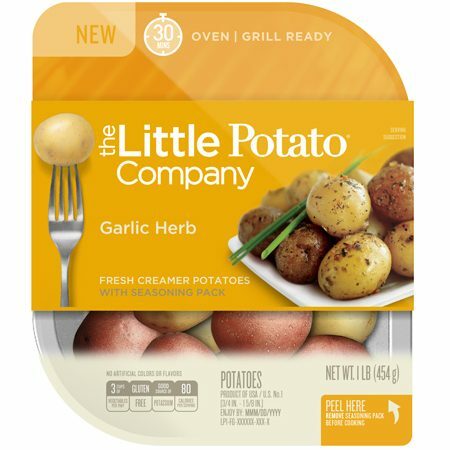 Prepare the Little Potatoes packet according to package directions. When tossing the potatoes with the oil and seasoning packet, add two tablespoons balsamic vinegar. Cook on the grill for 35 to 45 minutes, or until the potatoes are easily pierced with a fork. 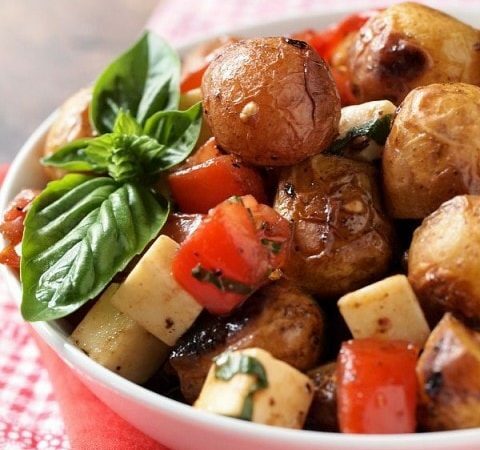 While the potatoes are cooking, stir together the mozzarella cheese, tomato, basil, garlic, remaining balsamic vinegar, olive oil, garlic, and salt and pepper. Let the flavours meld while the potatoes cook. When the potatoes are done cooking, you can remove them to a rimmed baking sheet, and let them cool before adding them to the tomato and mozzarella mixture, and eat the salad cold. 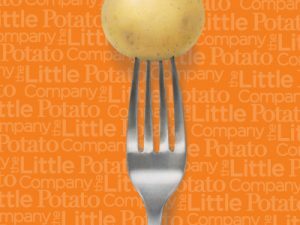 Or add the hot potatoes directly to the mixture and eat it hot. 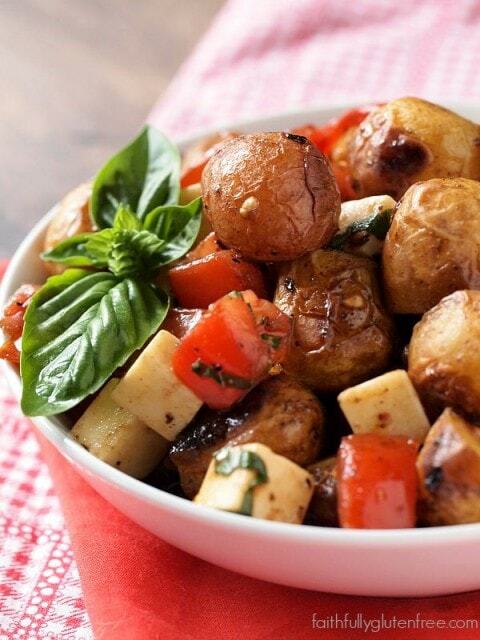 Caprese Potato Salad is great with grilled chicken, steak, or salmon.